Are you completely blown away by the cost of some fashion pieces you find either in retail shops or online? "Was £3,133.39 Now £1,253.35 60% OFF"
An originally price tag of £3,133.39? 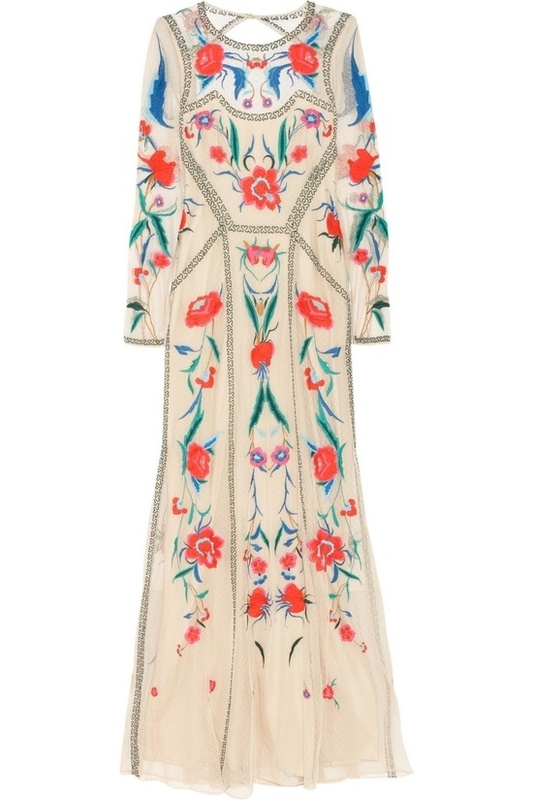 I appreciate the work that may go into making a dress like this, but £3k worth? So I start to look for alternatives, because I'm sure I could find a similar dress at a lower price, and possibly even one second hand. Whilst the examples above are all quite different from the original inspired designer piece, their colour and style are a little similar, the cost saving is vast, plus, it would be far better buying old 'new', than brand new. Readers have you replicated a high priced fashion piece, buying a similar item second hand? What is the most expensive item of clothing you've purchased? That's when I started sewing... when I realised I could get the same looks for a fraction of the price. 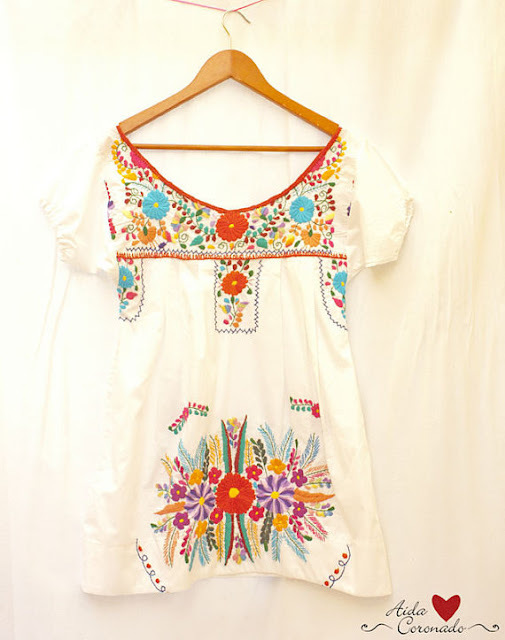 I love mexican embroidery (and all things mexican!) will definitely check out that etsy store. That's the best part of three months' wages - crazy! @Pullyoursocksup, crazy isn't it, can't justify these sorts of prices. My mother worked in a garment factory for many years so i know how much clothes really costs to make and how drastically they are marked up all at the expense of these hard working laborers making these clothes. So no, I don't spend a lot on clothes but I occasionally spend a lot on shoes, maybe the most I spent on shoes was $75.00 and that is rarely! You know why? Because I can't makes shoes! I like to look at what's new in fashion and I hit the thrift store and find that piece that has the same vibe and feel to it. I sure can't afford that much money. If I were a millionaire, then I splurge I guess. LOL! The vintage ones and the handmade one are beautiful. 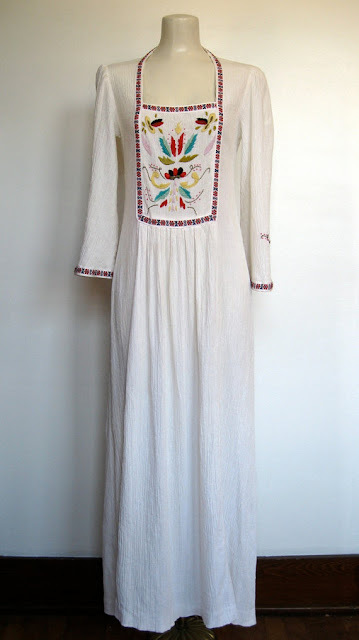 I thrifted a dress that was made in Mexico (a vintage), and I was so excited about it, but when I took it home and tried it on, not flattering on me. I am thinking of getting rid of it or keep it for a display. I don't know. Or if you would like to have it, I am willing to giveaway. :) It just needed a bit of an elastic on the top part. :) Let me know!